We can all agree that seeing in the darkness is a huge advantage under everyday circumstances. In a crisis situation, the quality of your night vision will be that much more important. 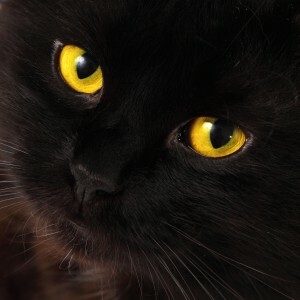 Now, I wish I had 5 easy steps that would allow you to suddenly have the night vision of a cat (they require only 1/6th the light we do)… but unfortunately there are no known exercises, pills, or surgeries that can pull off that miracle. You can dramatically improve your vision at night however. With a few simple techniques, tricks, and even a couple of “magic pills” you will be able to enhance your night vision and hopefully gain an advantage in a survival scenario. These methods don’t produce miraculous results, but they are proven to work. And just knowing these techniques can help you see better in the darkness, without investing in an expensive set of military-grade night vision goggles. 1. Increase Your Vitamin A intake – Poor night vision is an early sign of a Vitamin A deficiency. If you see well enough in daylight, but feel like your night vision has slipped significantly, consider a Vitamin A supplement. According to Wikipedia, “A deficiency in vitamin A will inhibit the reformation of rhodopsin and lead to one of the first symptoms, night blindness.” Boost your Vitamin A levels and ensure that your night visions is as good as possible. 2. Use A Red Flare on Your Flashlight – The color of light your eyes are exposed to has a huge impact on your night vision. If you’ve ever been to an astronomical observatory, you may have noticed the red lighting. Red light affects your night vision the least… it still causes you pupils to dilate, but it limits the impact as you look from lit to unlit areas. 3. Close Your Eyes for 10 Seconds – Close your eyes for 10 seconds immediately upon entering a darkened area. Despite the fact that many special forces units around the world use this technique, its effects aren’t scientific. Closing your eyes doesn’t speed up your eyes’ adjustment period (it takes 30 minutes to fully adjust). The leading theory for why this works is that closing your eyes for 10 seconds triggers a psychological shift. You might call it a placebo effect. 5. Scan for Shapes – Tests have shown that continuous scanning across an area prevents your eyes from adjusting to a particular spot of light or darkness. Also, research suggests that actively looking for shapes, rather than colors, can dramatically sharpen your night vision. In a sense, you’re telling your brain to ignore color, which helps it focus on processing visual information that you can actually use. SHARE YOUR NIGHT VISION TIPS IN THE COMMENTS SECTION BELOW! Was that OVER their heads??? Remember, ammo is expensive now. There are good night vision monoculars for sale now for less than $200. I have one and it works well. 4. the government (but I repeat myself). In the U.S. Army, we were taught to look slightly to the left or right of where you wanted to see. I don’t know exactly how this works but it seems to help with night vision. When encountering quick bright/dark light changes close 1 eye until the lighting changes or adaption of 1 eye is completed. Alternate between closing left and right eye. Get instant access to our catalog of tactical gear!